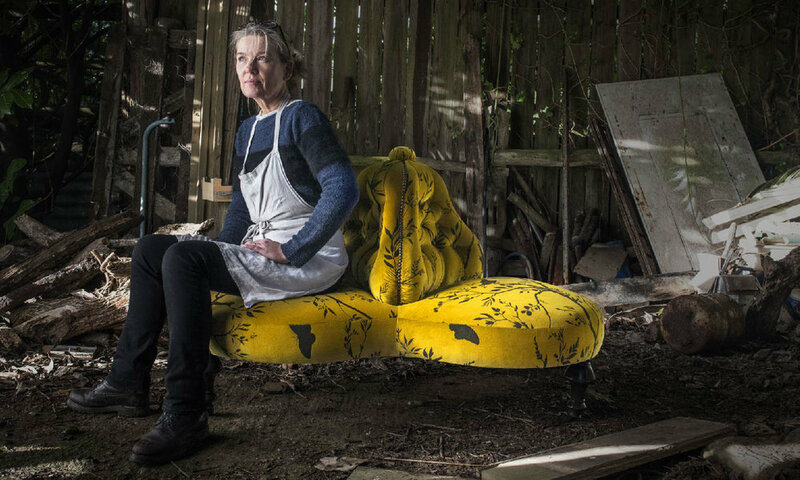 The artist and upholsterer Lorraine Osborne wanted to create a web-based portfolio and eCommerce site, that would wow the London gallery market. We knew the target market was discerning so the visual communications and web design needed to have a contemporary, high impact approach that could raise the ultimate value of Lorraines art. When we visited Lorraine at her workshop in deepest Devon, we were instantly struck by the bizarre contrast between the beauty of Lorraine's work and the slightly neglected areas of the Farm. This set us thinking about creative ways to present large pieces of furniture without the logistical nightmare of transporting them to a photographic studio. The answer was to make the most of the farm location and create the visual story of old and refurbished to new. Modern, clean and vibrant web design offset against the old farm buildings - it was something we could work with to celebrate the personality of the artist as well as the furniture. Mobile was, of course, a high priority. Lorraine was adamant that navigation and content hierarchy was easy to use on small devices, especially IPads. London gallery owners could be viewing the site on anything from phone to desktop computer, so we had to make sure the site used a flexible grid, enabling designs to adapt to the orientation and size of the screen.